The farmstead at Te Anau, near Cadia, the home of Frederick and Annie Parish (nee Holman) (Edward Higginbotham). Like the farms to the west of Cadia Creek, the land to the south of Cadia Village was taken up by Conditional Purchase under the Crown Land Alienation Act of 1861. Richard Stanley Wilson is first listed in the Cadia area on the petition for the Post Office in 1863 and then for the Common in 1866. He began to take up land in 1868 as Conditional Purchases and later as purchases from others. By 1876 he had a farm of nearly 1,000 acres (comprising Portions, 1, 2, 3, 4, 5, 20, 23, 24, Parish of Blake). In November 1876, Wilson sold all but Portion 20 to Josiah Holman. He kept Portion 20, but later sold another Conditional Purchase (Portion 21, 103.25 acres) to Holman in 1879, making Holman’s holding just over 830 acres, named Boxland Park. Josiah Holman, Mine Captain at Cadia, is one of the outstanding examples of a Cornish miner turning his earnings and investments into large landholdings. In 1884, Boxland Park was listed as 4,999 acres, a total which must in fact represent all his other landholdings as well. For example, he had 902 acres on Tunbridge Wells, to the north-west of Cadia Village. He had 3 horses, 4 cattle (probably milking cows) and 3,750 sheep listed in his name. It was the southern portion of this property at Boxland Park, 460 acres (Portions 3, 4, 24 and 25), that Josiah Holman bequeathed to his daughter, Annie Parish, in 1893, together with sufficient sheep to stock the land. The land was formally transferred to her in 1898. Annie had married Frederick Parish (b. 7 August 1854, Sydney), the mining company’s accountant, at Orange on 27 February 1884. Annie built the house on the renamed property, Bexley, in c.1900. 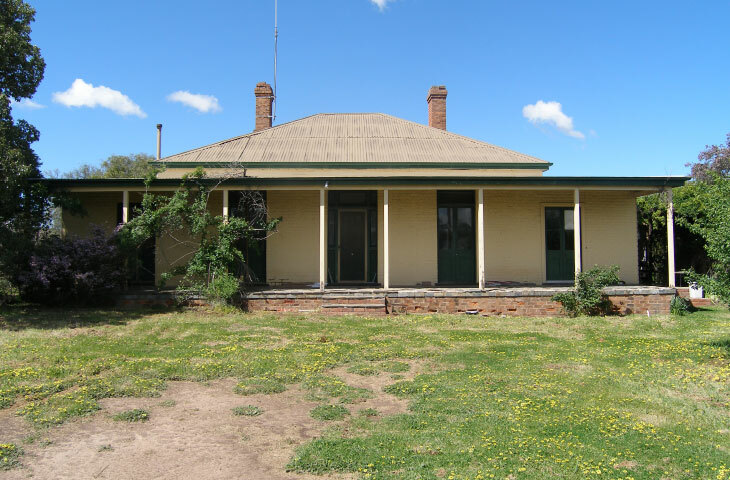 Annie or her son, Alfred Parish, farmed and grazed the land until 1914, after which time it was leased to the owners of the neighbouring Errowanbang property. Annie Parish died on 10 December 1953. The property was inherited by her sons, but sold out of the family in 1956, thus ending the Holman and Parish connection to Cadia. Unlike Waringa and some of the smaller historical landholders on Tunbridge Wells, Josiah Holman and later his daughter, Annie Parish, were able to profitably run sheep on these larger, more economically viable properties. 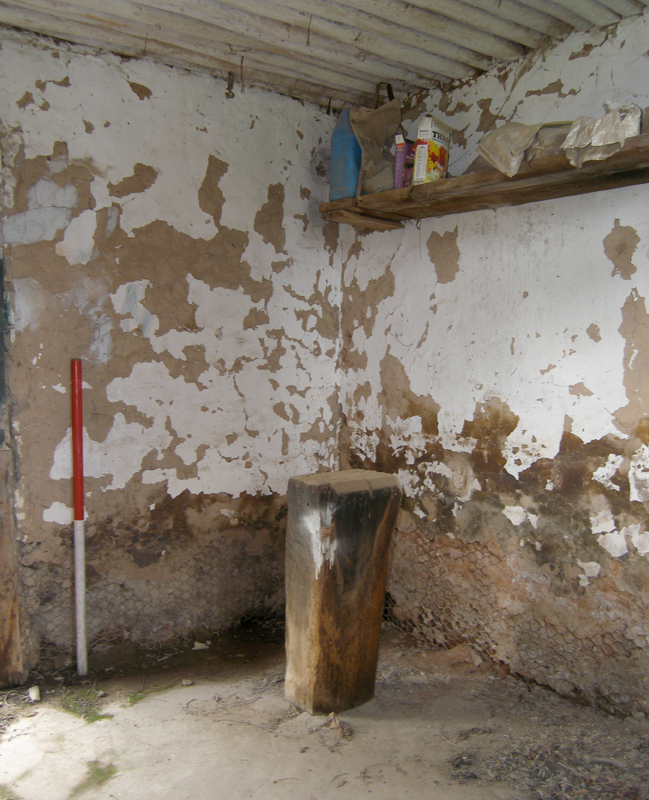 The brick farmhouse and other farm buildings were recorded in detail in 2005 in advance of mining operations. Of particular interest was the dairy, with “pise walls”, iron roof and cement floor, measuring 9 by 11 feet and valued at £20 in 1953. The building was in fact of timber post construction. The mud walls were held in place by chicken wire and plastered over, both internally and externally, before a final coat of lime wash. This little building, similar to the second building on Waringa, harks back to the construction of some of the houses in Cadia Village. 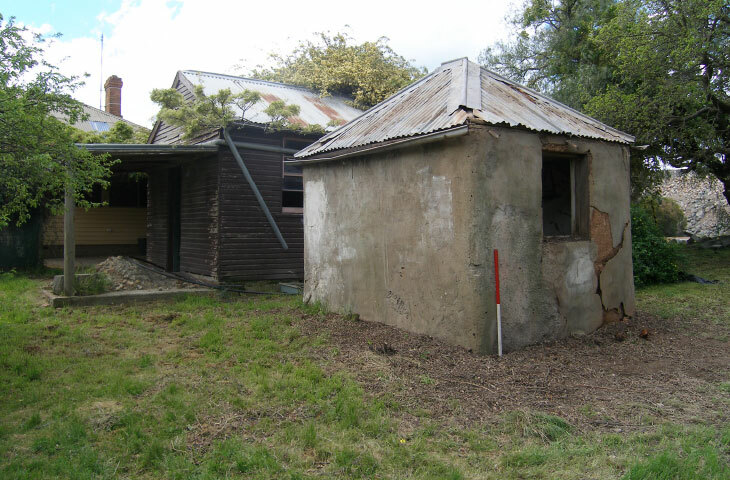 The shearing shed on Te Anau has not been impacted by mine operations and still stands as testament to the importance of sheep and wool to the local economy. Other shearing sheds are located on nearby properties, including Tunbridge Wells, Wire Gully, while a much larger examples stands on Errowanbang. The interior of the dairy at Te Anau shows the original fittings of the dairy. The use of chicken wire in the wall construction is clearly visible. The ceiling is made from bush logs, sealed with mud, providing a cool environment, even in the Summer heat (scale 1 metre) (Edward Higginbotham).